NDS multiple well plates are available in 6, 12, 24, 48 and 96 well configurations. 96 well plates are now available with round bottom and all plates contain alpha numeric labels for easy identification of individual wells. Each well contains a raised rim which perfectly fits with the single direction lid to limit the risk of cross contamination by reducing evaporation. Lids also have a stacking ring to allow for stable stacking of plates. 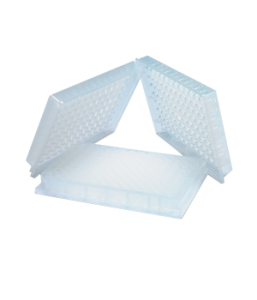 All multiple well plates are packaged sterile. Cell culture is the technique of taking cells from an organism and placing them in a suitable medium under controlled conditions. Under these conditions, and with a suitably nutritious growing substrate, the cells can begin to grow and even differentiate into various cell types depending on the somatic (bodily) tissue that they represent. Why do we need to do cell culture? Cell culture allows us to do many important things. For example, if you want to see if a particular cancer drug is going to work on a patient’s tumor, the doctor could take a cell sample from the tumor. This sample could be transferred to a culture plate and grown. When enough of the cells have grown, the cancer drug could then be applied to the cells to see what effect it has on them. If it kills the tumor cells, then the doctors might be able to use that particular drug to treat the patient’s tumor. The point is that the patient didn’t need to take the drug before the effectiveness of the drug on the tumor had been established. 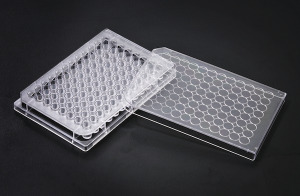 What is a cell culture plate? 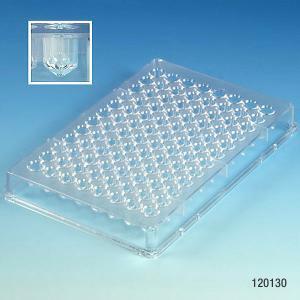 A cell culture plate is a piece of scientific laboratory equipment that allows for the storage, growth, and observation of cell cultures. They come in various shapes and sizes. 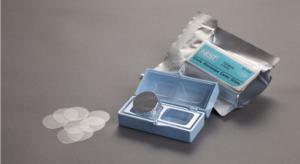 They are treated to allow for maximum cell adherence to the substrate, or growing medium. 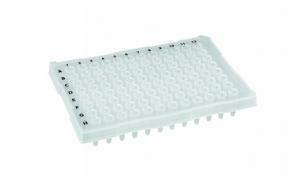 What is a substrate on a cell culture plate? Most cells that have been taken from solid tissues such as animal tissue or human tissue are adherent, which means they require a substrate to stick before beginning to grow or differentiate. The substrate provides essential nutrients like carbohydrates, vitamins, minerals, amino acids, growth factors, hormones, and gases such as carbon dioxide and oxygen. The substrate also acts to regulate temperature, osmotic pressure, and pH. 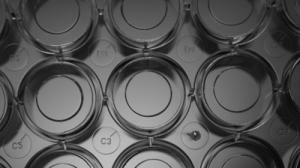 When is cell culture used? 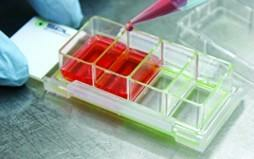 Cell culture is used for a wide number of applications. Animal cell are cultured for the production of viral vaccines and other biotechnological products. Cell culture also allows for cellular agriculture, which aims to develop new products and new mechanisms for producing agricultural products such as (cultured) meat, milk, perfumes, and even rhino horn without necessitating the death of animals.